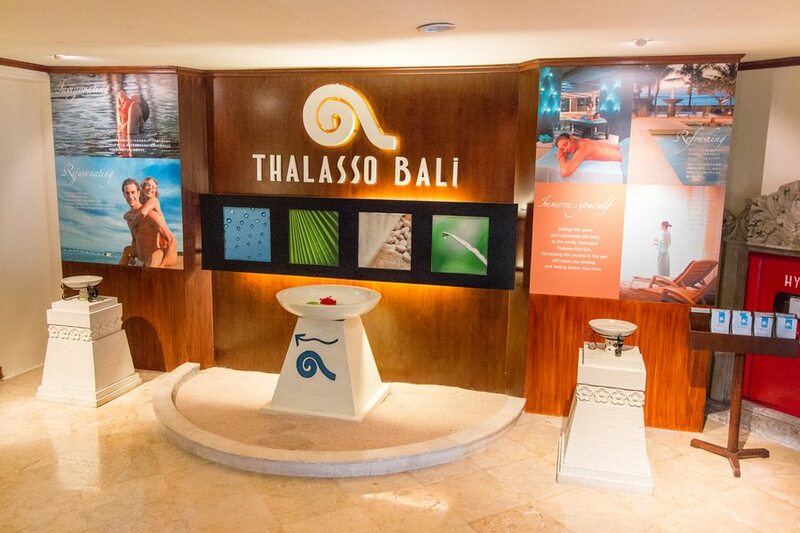 Home » Destinations » Bali, Indonesia » Thalasso Bali Spa: Will A Restless 4-Year-Old Enjoy A 1 Hour Balinese Massage? Picture this: your 4-year-old lying face down for a 1-hour Balinese massage, utterly silent, completely motionless. This is the same 4-year-old that can’t watch a movie for more than 10 minutes without fidgeting and urging to play with his toys. The same 4-year-old who can barely sit still for half an hour at the dinner table. How did they do it? What was their trick? And can they please do it again?! 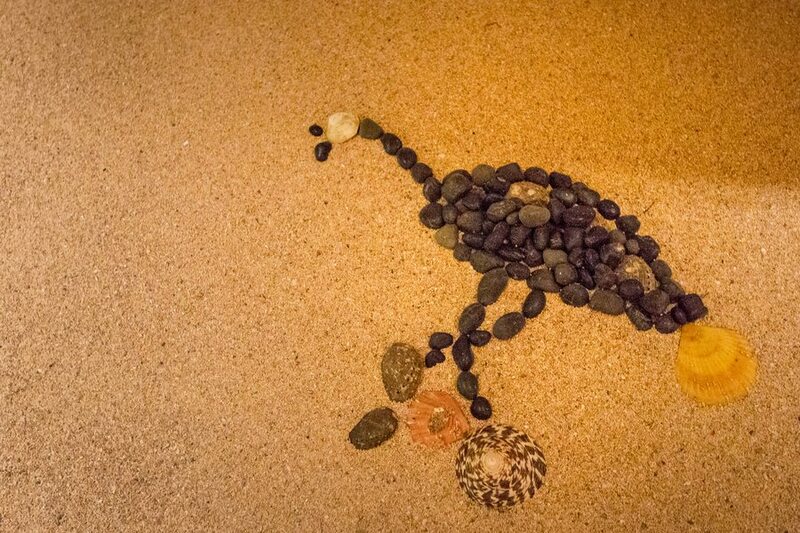 When Grand Mirage Resort asked us to visit we were excited for several reasons. 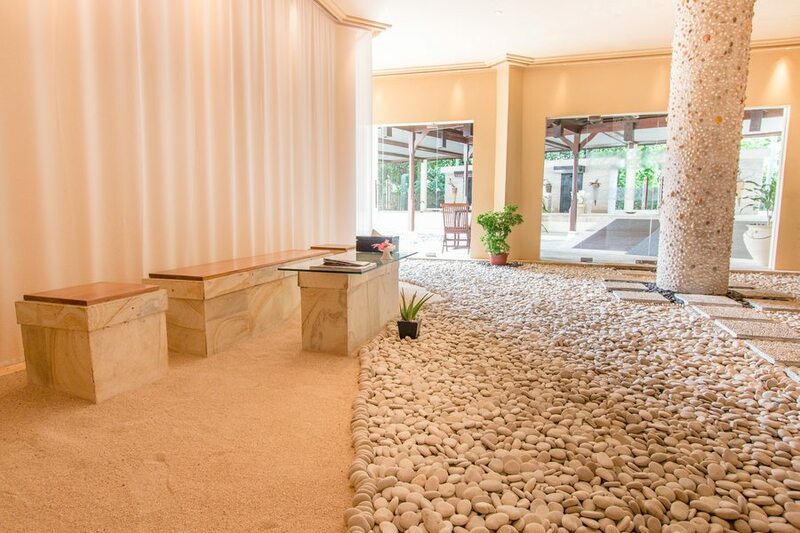 We had heard very positive things about the on-site spa - Thalasso Bali Spa -which caters for the whole family. Adults and kids alike can relax, be pampered and rejuvenated. 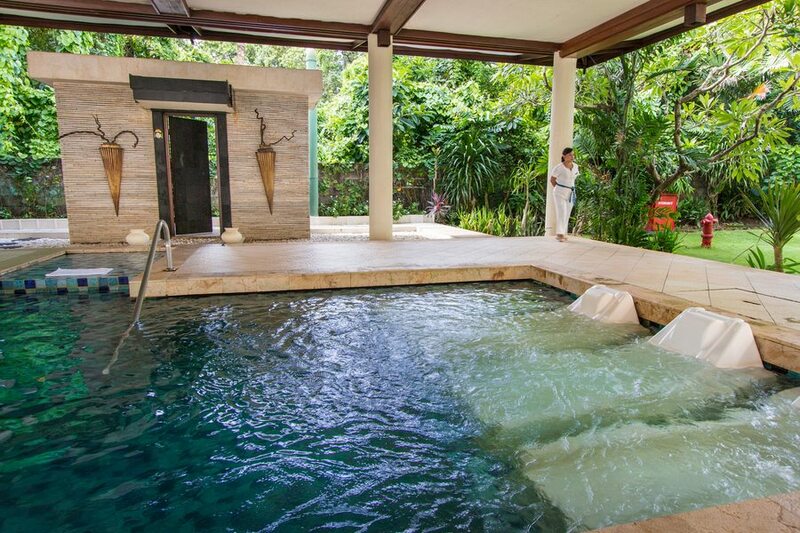 I wanted to see this spa up close so one morning we wandered through the lush tropical gardens of the hotel and into the air-conditioned entry of the spa. 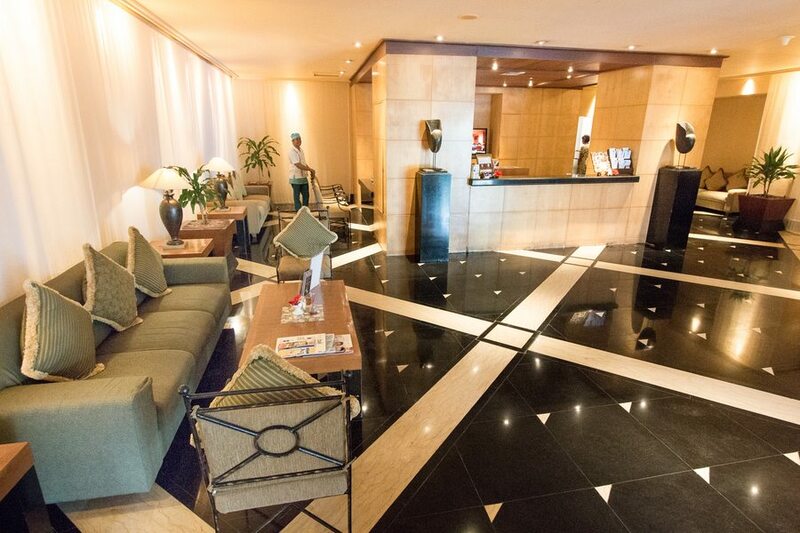 The modern-styled lobby area was large, bright, and clearly enticing. Two kids rooms complete with small beds and a cave-like entrance. 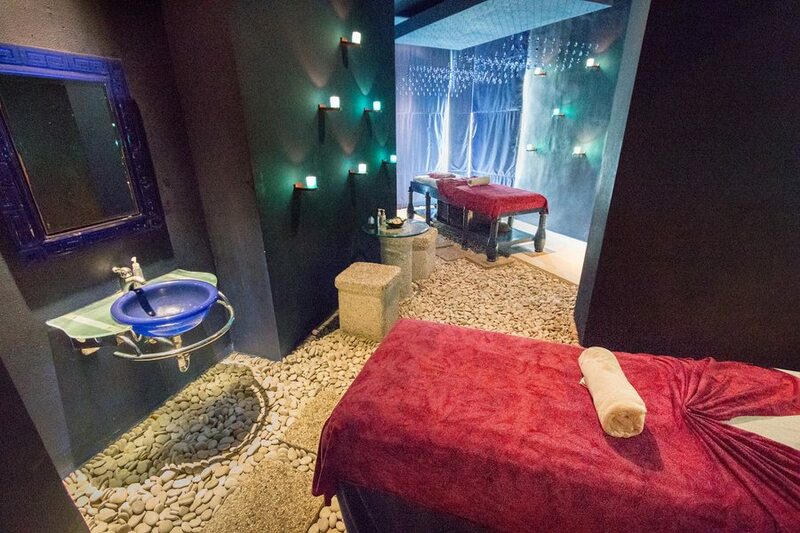 In another room was a French-style aromatherapy shower massage. I never got around to trying that, but it looked amazing. I was sold. Later that evening we returned, ready for our treatments. We filled in a few forms which included our treatment preferences and provided the therapists with any relevant information. Josh and Caius selected irresistible scented oils for their massages. Once all the formalities were out of the way we were separated into male and female change rooms, where we were provided robes and slippers to change into. Mia and I were then separated for our respective treatments, while Josh and Caius occupied the same room for their massage. 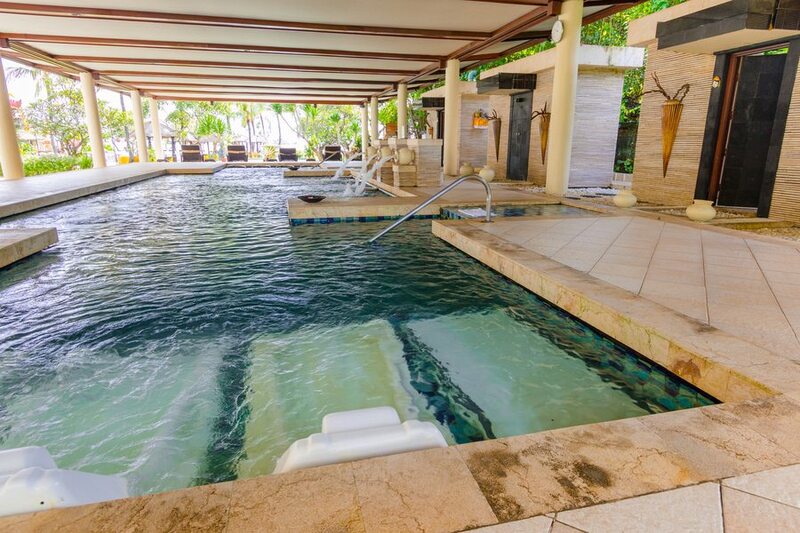 It turns out the private pool wasn’t just private, but also therapeutic. Filled with 100% pure seawater and heated to 38 degrees Celsius, it was a pleasure jumping into. Even when the rain and thunder shook the earth I was cosy and warm in my private spa. 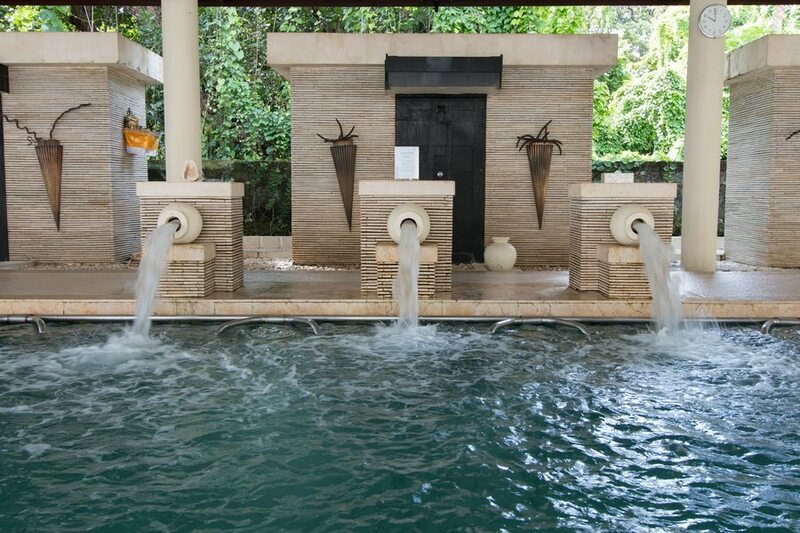 Throughout the pool were several specialised water massage stations. 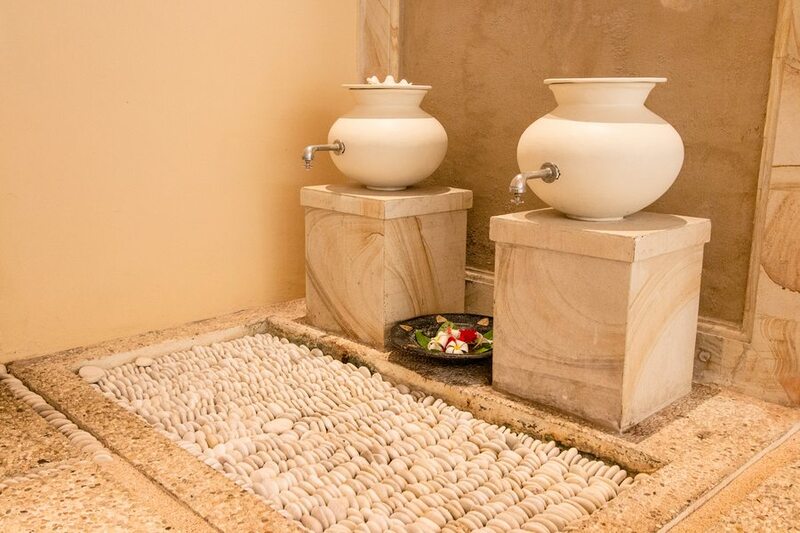 The spa claims that the pool will reduce cellulite and improve muscle tone, flexibility and circulation. I could feel this being achieved through a series of aquatic leg exercises. Then there were jets that massaged my feet, lower back and shoulders. And after 50 minutes it was time to relax on an underwater bed with micro jets massaging my whole body. I thought I would be bored in a pool by myself for one hour, but it was surprisingly fun. In hindsight it would have been more enjoyable to do it with someone else, however kids are not allowed in the pool. The thunder and lightning show was also a really nice, well-timed touch. After our first hair cream bath together in Ubud, my 6-year-old had fallen in love with them and so she went off to the salon for a Vitamin & Fresh Aloe Vera Cream Bath. A nourishing bath for the hair that left it silky smooth and tangle-free for several days. She came away very happy since her one goal in life (so far) is to have long luscious hair like Rapunzel. To be honest, we paid about half the price for a hair cream bath in Ubud, but this salon used much finer ingredients and the surroundings were in a class of their own. Josh is a big fan of the Balinese massage and enjoys them several times a week in Ubud, so he was happy to try out the services that Thalasso Spa offered. They used a combination of gentle stretches, acupressure and their own blend of aromatherapy massage oils to stimulate the flow of blood, oxygen and energy around the body. 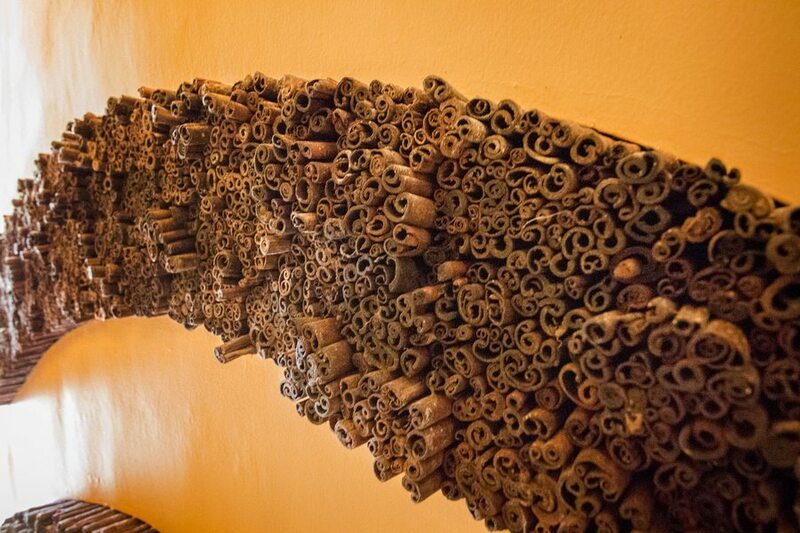 These therapists demonstrated a high degree of expertise that isn’t particularly common in Bali. After an hour of this treatment, Josh walked away floating on cloud nine. While there are a number of specialised kids packages to choose from we decided to ease Caius into his first massage by joining Josh for the traditional Balinese massage. Imagine Josh’s surprise when he did not hear one peep from our 4-year-old son. For the first 10 minutes Josh kept peeking at him, waiting for the chatter or the movement or the “I’m bored” moment… but it never came. Caius lay perfectly still through the whole massage and when it was complete he asked when we could do it again. What a testimonial! 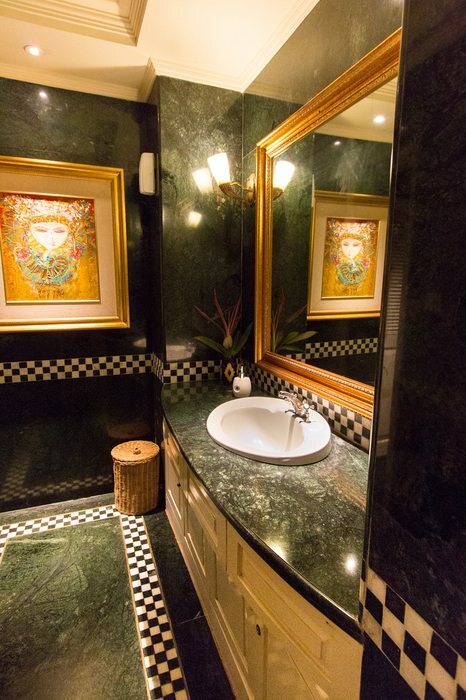 Thalasso pride themselves in their French-trained therapists that deliver more than just a spa experience. It was far more luxurious than the cheap massage you can find in Kuta or Ubud. 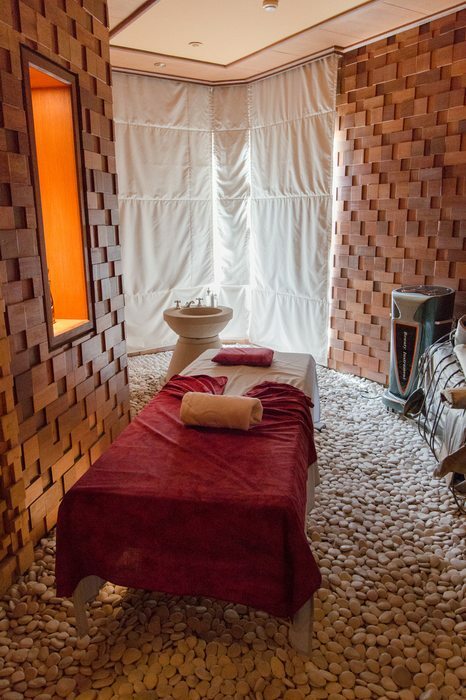 It combined a striking atmosphere that entranced all the senses, completed with well-trained staff, making the perfect amalgamation of relaxation, pampering and well-being. But I received one extra bonus… a jaw-dropping surprise response from my son. Perhaps it is possible to tame this savage beast after all. We stayed at Grand Mirage Bali, which is where Thalasso Spa is located, but they welcome walk-in visitors as well. You can check out our experience at the hotel here.